Congratulations to tour winner Robyn M. and to host winners Kimmi Love and Locks, Hooks, and Books. 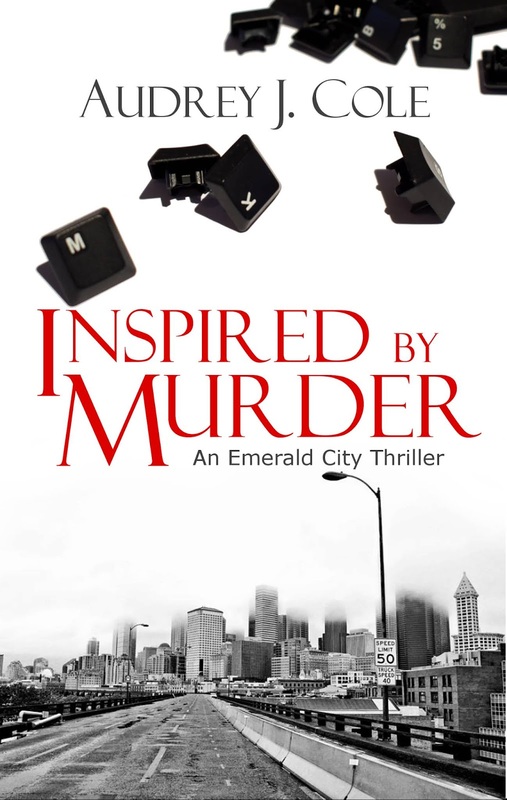 Goddess Fish Promotions is organizing a Virtual REVIEW ONLY Tour for Inspired By Murder by Audrey J. Cole, a 305 page Thriller available August 14 from Gum Tree Press. The tour will run every Tuesday for 4 weeks starting on August 21, and the book is available in PDF, mobi and ePub formats. Audrey J. Cole will be awarding a $10 Amazon or Barnes and Noble GC to a randomly drawn winner via rafflecopter during the tour, and a $10 Amazon or Barnes and Noble GC to a randomly drawn host. Because this is a review tour, GFP will award a $5 Amazon GC to a randomly drawn host. To write the perfect story, he needs to commit the perfect crime. Disillusioned with his day job, psychiatrist Eric Leroy yearns to fulfill his true destiny of becoming a New York Times bestselling author. But there is one thing he lacks to create an enthralling murder mystery: real-life inspiration. The nation is shocked when a famous Seattle resident and his wife are found dead in their upscale Madison Park neighborhood. It looks like murder-suicide, but Detective Blake Stephenson isn’t convinced. Stephenson begins to suspect the doctor when more people connected to Dr. Leroy turn up dead. As Stephenson investigates Dr. Leroy, he uncovers a dark, twisted past filled with secrets. Meanwhile, the headlines are reeling with a killer on the loose in Seattle. As the death toll rises, Stephenson struggles to find enough evidence to arrest the doctor—before he kills again. September 11: Archaeolibrarian - I Dig Good Books!